Are you in the process of replacing your hot water heater? If so it’s a great time to consider a new tankless model. Instead of an entire a tank full of water and all the work it takes to keep it heated, a tankless hot water heater will heat the water you need right when you need it! The new model of water heaters offers a number of advantages. We offer 3 great reasons to choose a tankless hot water heater. At Hubb Plumbing we offer water heater installation of both traditional and tankless units to all of our Snellville customers. Of course there are pros and cons no matter what you decide, and we know that every situation is different but we would love to show some of the advantages of having a tankless water heater. 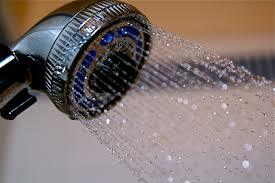 • Cost – A tankless water heater is more cost effective. Instead of using using energy to keep water hot all day, even if you’re not using it, a tankless unit heats the water immediately when you need it. This means you use less water and you don’t have to be kept waiting for it to get to the right temperature It also uses less energy to get the water hot. • Size – Tankless hot water heaters are smaller and less cumbersome than traditional units because they do not need to keep a tank of water. They are easy to fit into tight spaces or place out of the way in new homes. • Life span – Tankless hot water heaters tend to last longer than their traditional counter parts by 5 to 10 years on average. Because they do not need to keep a tank filled with water, there is less chance for rust and corrosion and less overall wear and tear on the unit. If you are considering a new hot water heater for your Snellville home give us a call. 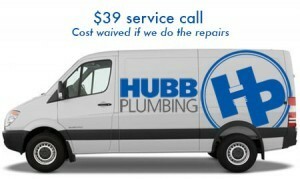 Hubb Plumbing has been providing superior plumbing services to Snellville Ga for over 25 years. We understand that our community deserves great service at fair pricing. And we strive to earn your business and retain it so you won’t ever have to make a call to another plumbing company again. Give your home the professional and courteous plumbing service it requires. No job is too big or too small. Our commitment is to the Snellville and Gwinnett communities. Our mission is to provide the best plumbing service at fair pricing and to leave you with a great sense of customer satisfaction. We have been and continue to be referred by generations of local Snellville families. And because we know how valuable your recommendation is for our success, we sincerely honor your trust.